What are the economic determinants of institutions that promote private sector growth in areas with weak and fragile states? A previous Exploratory Research Grant by the researchers demonstrated that non-state armed organizations can sometimes adopt behaviours that can be beneficial to economic development by restraining their use of force and developing state-like patterns of taxation that allow for development. Building on the results and insights of this ERG, this research seeks to address four central issues. The first question addresses the origins and impacts of these ‘proto-states’, investigating when institutions that promote growth emerge from criminal groups in areas with limited state capacity, and what are the economic determinants of armed groups’ village governance. The second issue explored in this project is the effectiveness of policies aimed at weakening the control of these armed groups, specifically by reducing their ability to collect taxes. 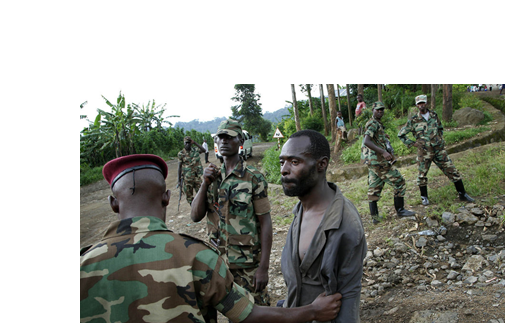 The third research question examines whether state capacity is a contracting problem in the DRC, and will evaluate the effect of monitoring and sanctioning capacity within the Congolese state on the behaviour of the state agents. The final aspect investigated is whether (and why) extending access to enforceable state contracts in areas traditionally not using contracts changes the trading behaviour in these areas. Because of the relatively recent emergence of these armed groups in the region of study, the project will able to record the emergence of governance institutions at their very initial stages, and thus disentangle processes that are usually difficult to isolate and observe because of the historical complexity of economic governance. Thus the researchers will be able to identify the core relation between taxation and governance, which can yield significant insight for academics are well as policy design in such regions.